METHOD: In a mixing glass crush 3 pieces (dice size ) of fresh cucumber + 3 dices of fresh kiwi + 2 cl of Monin green apple syrup. 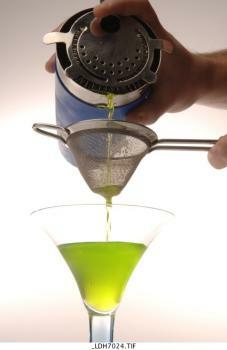 Shake and double filter into a chilled martini glass. METHOD: In a mixing tin combine 1 1/4oz. 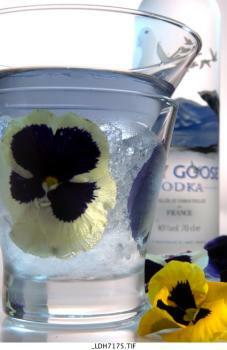 Greygoose vodka, 3/4oz Monin Lavender Syrup and 1/4oz Monin Violette Syrup. Shake and strain into a Arcoroc freeze glass placing the crushed ice and a fresh “pensée“ flower in the base part of the glass. METHOD: In a mixing tin combine 1 1/4oz. Greygoose vodka, 3/4oz Monin Watermelon Syrup and 1/4oz Soho Star Fruit. Shake and strain into a chilled Z stem martini glass. GARNISH: 3 fine slices of star fruit (they naturally stick together) then use a half strawberry to consolidate the structure. Click “Play” on the video above. Click Here to Hire Professional Flair Bartenders & Mixologists for your next event! BarWars LLC 10791 Paso Fino Drive, Wellington, Florida, USA Tel: (561) 315 7963 Views expressed in Flairbar.com are not necessarily the views and opinions of the CEO, VP or Editor. 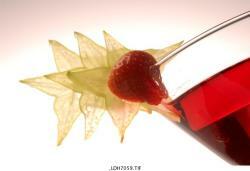 Flairbar.com is produced in good faith (by Bartender's) as a service to the community of Bartender's Worldwide. All logos and trademarks of Flairbar.com, Flairmation, BarWars LLC, Drinkdub and Flairquipment are copyright. © 1999, © 2000, © 2001, © 2002, © 2003, © 2004, © 2005, © 2006, © 2007, © 2008, © 2009, © 2010, © 2011, © 2012, © 2013, © 2014, © 2015, © 2016 BarWars LLC.